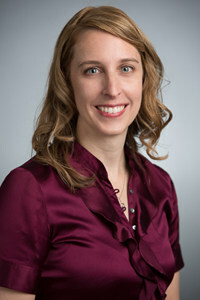 Jennifer Golbeck, associate professor in the College of Information Studies and affiliate associate professor of computer science at the University of Maryland where she is also the director of the Social Intelligence, will lecture at Washington and Lee University on Feb. 2 at 5 p.m. in Stackhouse Theater. She will speak on “Footprints in the Digital Dust: How Your Online Behavior Says More Than You Think.” Her talk is free and open to the public. Her lecture is part of the year-long series on Markets and Morals and is sponsored by W&L’s Roger Mudd Center for Ethics. For more information about this series, see: https://www.wlu.edu/mudd-center/programs-and-events/2016-2017-markets-and-morals. “Whether it’s using social media, shopping online or just existing in today’s digital world, we leave behind extensive digital traces. New artificial intelligence allows scientists use that data to discover your hidden secrets and predict your future actions with startling accuracy,” said Golbeck. “These insights are powerful, and have the potential to help us in new, exciting ways, but also have the potential to do great harm. “In my talk, I’ll discuss what’s going on, what comes next and what you can do to control your privacy as technology marches forward,” she continued. Golbeck is the author of “Introduction to Social Media Investigation” (2015); “Analyzing the Social Web” (2013); “Computing with Social Trust” (2008); and “Art Theory for Web Design” (2005). Her main research interests are in understanding how people use social media to improve the way they interact with information. She approaches this from a computer science perspective and her general research hits social networks, trust, web science, artificial intelligence and human-computer interaction.